Great for birthday and bachelorette parties, wedding and baby showers, or just a fantastic night in with friends. Enjoy a lively night IN with friends or co-workers with our custom-designed classes and tastings, centered on the pleasures of cooking and eating. 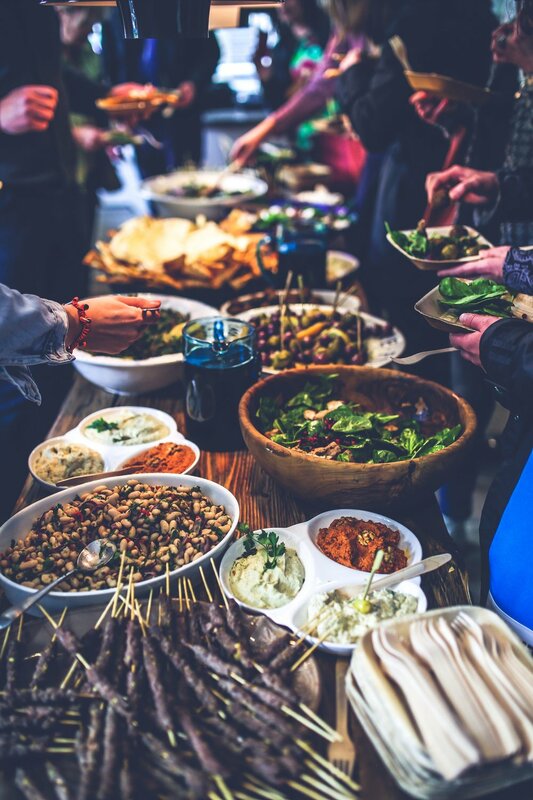 Megan creates an engaging social event in your home or other venue, centered on an intriguing cuisine, surprising food pairings, or a private cooking class. Try an Indian Tapas night, learn about craft beers and how to pair them, or make your own kimchi and saurkraut; choose one of JAK's seasonal options, or let your imagination run wild! Invite your guests, then sit back and let us do the preparation, shopping, and cooking. AND we'll make sure everyone has a fantastic time. Great for birthday and bachelorette parties, wedding and baby showers, informal gatherings with co-workers, book clubs, social clubs, and anywhere groups of people want to eat, drink, and be merry!